What level of support can I expect after completing the class? The Level 1 Maintenance class provides 90 days of technical and field support following class completion. Your instructor will be available via phone, text and email, even while you are in the field. During this period you will also be able to schedule two Zoom calls with your instructor to ask questions. What should I expect from my technician (or myself) upon returning to work? Your technician (or you) will have a foundational knowledge of HVAC maintenance with sufficient competency to perform their (your) job requirements with an emphasis on performing services with the highest level of efficiency, effectiveness, and professionalism. In addition, due to AATA’s unique training method that addresses mindset, your technician (you) will have a genuine confidence in their (your) ability to evaluate your client’s specific comfort needs and make recommendations that will improve the indoor air quality of their home. They (you) will also be EPA trained and certified. What different types of heating/cooling classes does AATA teach? Your technician (you) will receive instructional maintenance training on heat pumps, gas furnaces, electric heating, hydronic systems, air handlers, mini-splits, split air conditioners, boilers and package units. The program fee is non-refundable; however, Level 1 Maintenance students receive ninety (90) days of follow up support and a re-training guarantee. Note: the re-training guarantee is subject to the client providing a minimum of 10 days of student ride-alongs with an experienced co-worker after the completion of the course. There is a small program fee for re-training that will cover the cost of meals and training materials. What makes AATA different from other HVAC training programs? 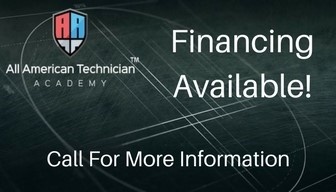 The All American Technician Academy is unique from other HVAC programs in that we combine training in the repair and maintenance of HVAC issues as well as sales and leadership training. By giving your employees the confidence and knowledge to provide the HVAC solution needed, engage with the customer, and suggest additional products and services, your business will be able to increase its yearly revenue and ROI. How often are classes held and for how long? Classes are held a minumum of twice a month. See Upcoming Courses for details. If you don’t see a date that suits your needs, contact us. We’re prepared to add class dates as demand requires. Level 1 Maintenance is a six-day program that begins Sunday and ends Friday afternoon. Friday – 8 am – approximately 3 pm. Exams are administered after lunch. What EPA Certification do I earn? Within Section 608 Certifications, there are four types of certifications for HVAC technicians. The AATA curriculum covers all 4 areas and technicians will have an opportunity to earn an EPA Universal Certification. Once certified, there is no continuing education hours needed nor a need to re-certify in order to maintain certification. We provide transportation from your hotel to the training facility, two meals per day, and access to a discounted hotel room rate. You are responsible for paying for the room, but we have negotiated a great rate! What is the cost of your training program? *We DO offer financing options, call us at 770-858-7802 for details!